Penner Bathing Spas, formerly Penner Patient Care, recently built and launched their second website with our Omaha web design and web development team. After building a custom website design with JM a few years ago, Penner Bathing Spas needed to update their branding and overall website technology. This new website, as was the old website, is built on a WordPress Content Management System (CMS). This new site, however, has more customizable features – allowing Penner’s team to more easily update their website. 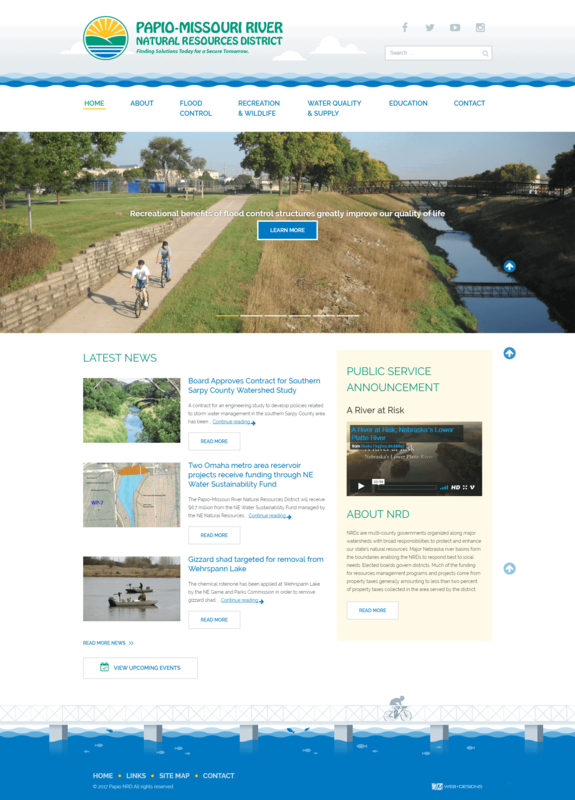 Additionally, this new website is mobile-friendly and utilizes responsive design to allow for better usability for mobile and tablet users. We send a big congratulation to Penner Bathing Spas on their new website, and look forward to hearing how they see continued growth with this updated marketing piece. Papio NRD is truly a beloved JM customer and we are thankful for the continued partnership we have with them. We’ve heard excellent feedback on this beautiful custom web design and look forward to many more years of working together. 7 Day Furniture is a cornerstone Omaha company that provides affordable, quality furniture to the Omaha and Lincoln metro areas. After many years of a website that was not easy to update, nor reflective of their products and quality, 7 Day worked with our Omaha web design team to design and build a new website. 7 Day Furniture uses their website as a showcase for products. And the best way to accomplish this goal was to select a pre-built WooCommerce website template and customize it to fit their branding and to remove the purchase functionality. By doing this, 7 Day has a simple Content Management System (CMS) through which they can easily add, edit and reorganize products. This website also increases ease and usability for users – as this new website is mobile-friendly. We are thrilled and honored to work with such a revered Omaha business. We wish 7 Day Furniture success with their new website and look forward to working with them in the years to come. Parsons Technology is a company with experience, knowledge and professionalism. Its previous website did not reflect these things for Parsons, and needed to be updated for usability, overall design and responsive technology. Parson Technology’s new website is built on a WordPress Content Management System (CMS). The design is a prebuilt WordPress template, customized to reflect their professionalism and services. This template is also mobile-friendly; and this responsive technology will make it easier for users and satisfy Google’s requirements for mobile usability. 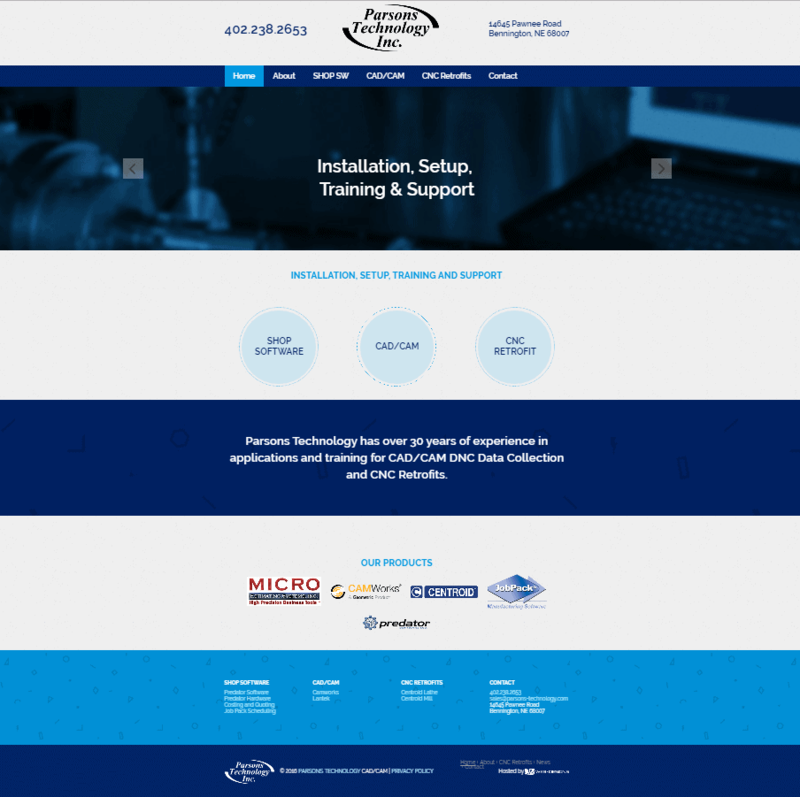 We’re grateful that Parsons Technology trusted our Omaha web design team with building a new website, and hope we can continue to partner for their success in the future. Total Traffic, Inc., is a sub-rental company out of Omaha which provides changeable message boards and portable traffic signals for highway construction projects nationwide. After working with Total Traffic’s founder on previous projects, he decided to work with our Omaha web design and development team, again. Total Traffic’s new website is built on a WordPress content management system. A pre-built WordPress template was customized to match their new logo and branding. The WordPress CMS will allow their staff to update website content and images efficiently and easily. Our Omaha web design team thinks the modern look of this clean and informative website will bring great success to this new venture for Total Traffic, and we wish them great success!